2011 | MMA Fighting Events Videos Techniques UFC Fight Picks and News. 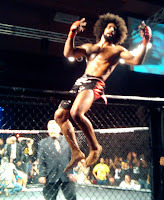 [El Monte] With the year coming to an end, I have been reflecting on some of the amazing MMA moments in 2011. We got to see Jon Jones run through the UFC light heavyweight division, Dan "Hendo" Henderson and Mauricio "Shogun" Rua have a chingasosfest, and another Brazilian top the heavy weight class. Those are just a few of the great MMA and UFC moments of 2011. Here is a rundown of those moments and other "best of 2011". Who you got in the UFC 141 main event? Do you think Brock Lesnar will ground and pound his way to another UFC win? Or, do you think Alistair Overeem, with his world class striking, will come out el mas chingon in his UFC debut? When I first heard about this fight, my thought was,"Ouch, easy fight. Why are they feeding Brock?" Hijole, I was extremely surprised when I found out that Las Vegas had Overeem as the favorite. So, I had to look back at their fights and think about this again. On December 30th, two of the UFC’s fearless fighters in the lightweight division, Nate Diaz and Donald Cerrone, will meet in the Octagon. Both fighters are coming off “Submission of the Night” showings. Both fighters are in the hunt for a UFC title shot. A win for either Cerrone or Diaz would go a long way in determining the immediate future of the division,and possibly earn one of them a title shot in 2012. Last Sunday, we headed to Skidrow Studios in Downtown Los Angeles to chat it up with Crail and Rich live on their show, Mat Time Radio. We chopped it up on MMA, the UFC, Frank Mir's kimura that broke Big Nog's arm, Brock Lesnar vs Alistair Overeem and a bunch of other chingaderas. If you missed it live, check out the podcast. Jon "Bones" Jones is spectacular. Jon "Bones" Jones is brilliant. Jon "Bones" Jones is phenomenal. Jon "Bones" Jones is Superman wearing 4oz. gloves. What is hyperbole? According to Merriam-Webster's online dictionary, it is extravagant exaggeration. In MMA, we are prone to hyperbole, although unintentional. Like El Chavo del Ocho used to say, "Fue sin querer queriendo." It seems that whenever we get a new UFC or MMA champion, we like to think and say that he is unbeatable. Right away we want to put him on list of the greatest of all time. We want to give him all the praise of an unbeatable Greek god. But, we do have to be careful with too much praise. Can Lyoto Machida Stop the Jon Jones Train at UFC 140? Jon Jones has been a runaway train in the UFC light heavyweight division. That train ran wild through the division, right into, and through a UFC title fight. Quinton Rampage was sent to stop this runaway train at UFC 135. Jon Jones demolished him, finishing him off with a rear naked choke in the 4th round. 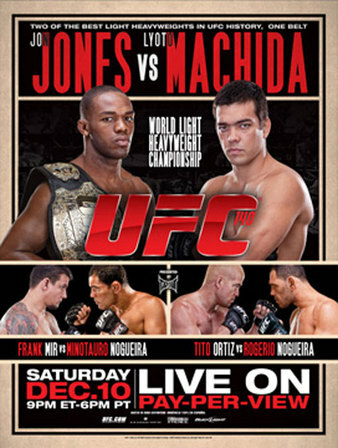 This Saturday December 10th, at UFC 140, Lyoto Machida steps in front of that train. Will Lyoto Machida be the fighter to derail Jon Jones? If you're a fan of MMA (Mixed Martial Arts), you already know that back in the day, the Gracie's, the first family of Brazilian Jiu Jitsu (BJJ), had challenge matches. The Gracie's held these challenge matches or fights, to prove the efficacy of Gracie Jiu Jitsu in real fights. While you might have already known about those old school challenge matches, you might not have known that Ralek Gracie, Rorion Gracie's son, now fights in MMA, but also had an old school Gracie challenge match/fight. Here's the video of Ralek Gracie as a teenager in what looks like one of the old school Gracie challenge matches. Check out the fight. 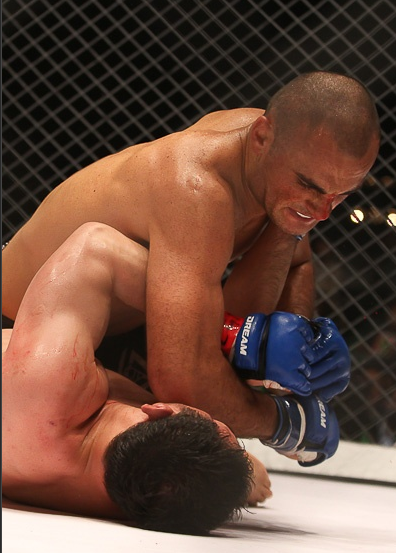 Ralek Gracie hasn't had many MMA fights. He's 3-0 in MMA. 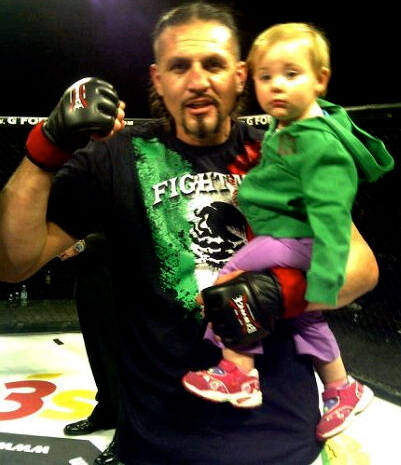 His first fight was in June of 2007 at the MMA event K-1 Heros. Most recently, he defeated MMA legend Kazushi Sakuraba in May of 2010 at the MMA event Dream 14. Ralek Gracie's future in MMA is unclear, but it would be interesting to have the new breed of Gracie fighters make a run at MMA in it's current and advanced form. A couple of weeks ago we stopped by the Body Shop Fitness in Lakewood and the Fight Academy in Pasadena to shoot video of Savant Young training for his MMA return. Shooting the video, I knew win or lose, it would be inspirational and motivating to anybody that trains or fights in the sport of MMA. I felt it would be even more inspirational and motivating for anybody that has ever fought back from and injury. How did Savant Young's MMA comeback go? Well, check it out the fight for yourself. 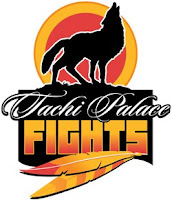 Here's the video of Young's fight versus Robert Washington at Tachi Palace Fights 11 that took place at the Tachi Palace Casino in Leemore, California. 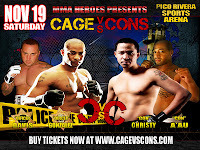 The Cage vs Cons 2 MMA event is set and ready to showcase some chingasos at the Pico Rivera Sports Arena on November 19th. The inaugural Cage vs Cons MMA event in Los Angeles was a success, and now Cage vs Cons 2 continues with the villains vs heroes theme in an MMA realm. This villains vs heroes theme is sure to bring casual fans to the sport of MMA and show everyone the sportsmanship and warrior spirit that these athletes possess once they step in an MMA cage. The main event at Cage vs Cons 2 will feature police officer and MMA fighter Ismael Gonzales facing off against ex-con Nick Christy. Gonzales is coming off a win at Cage vs Cons 1, and is looking to make it two in a row. Christy is out to show he's more than just and ex-con and will showcase his MMA skills. The co-main event at Cage vs Cons 2 is police officer Ben Davis vs ex-con Ralph A'au. Officer Davis is out to prove that his experience in the military, being a correctional officer and now as police officer will do him well in an MMA fight inside a cage. 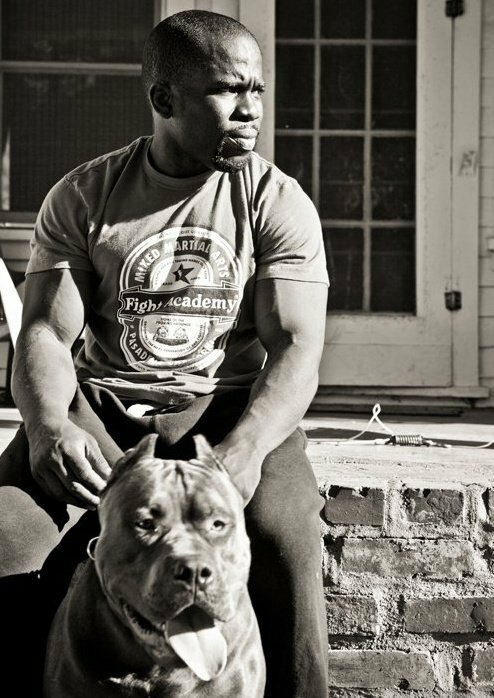 A'au will use the toughness he developed in the streets, and a stint at Pelican Bay, coupled with his MMA training, to pull him through anything that happens in the cage. Two MMA legends, BJ Penn and Mirco Cro Cop were on the card at UFC 137, both lost, and both announced their retirement. It was a bitter sweet UFC card for fans as the fights were good, but the sport of MMA also lost more legends. BJ Penn had his moments while fighting Nick Diaz, but after the first round it was mostly Diaz. Diaz battered Penn for the last two rounds with his signature peppering style of boxing. Penn fired back at times and stood in their with the heart of a warrior, but his conditioning seemed to once again be a problem, and his fire for going after a win seems to have died. When the dust settled and the three rounds versus Nick Diaz were in the books, Penn told Joe Rogan during the post fight interview "Joe, this is probably the last time you see me in here." The truth is that this is probably the best thing for BJ Penn. He's only 1-3-1 in his last five fights and the fire for fighting might have gone away a long time ago. Cro Cop also had his moments in his fight with Roy "Big Country" Nelson. At one point, it almost seemed that Cro Cop would finish off Nelson with a barrage of punches, but Nelson covered up well and survived Cro Cop's best attempt to finish the fight. In the third round, Nelson capitalized on Cro Cop slipping after a kick attempt. He quickly jumped on Cro Cop and took back mount. From there, Nelson's grappling skills helped him maintain the position while dropping punches to Cro Cop's head that forced the stoppage. Cro Cop had announced his retirement before the fight, but he wanted to go out with a win. Nelson was too good, came in prepared, and ruined Cro Cop's plans. For most fans it was sad to see another MMA legend go out with a loss, but once again, the truth is that it's was probably best he retired. Cro Cop was 2-3 in has last five fights coming into the match with Nelson. Regardless of their losses, both BJ Penn and Cro Cop put on a good fight at UFC 137 and fans will always appreciate what they did for the sport of MMA. Thank for the memories! Nick Diaz defeated BJ Penn via unanimous decision. Cheick Kongo defeated Matt Mitrione via unanimous decision. Roy Nelson defeated Mirko Cro Cop via third-round TKO. 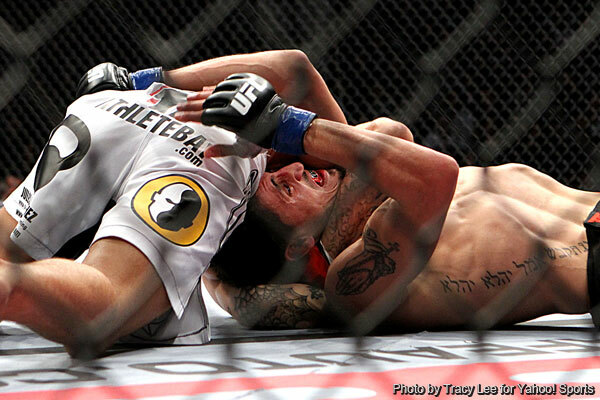 Scott Jorgensen defeated Jeff Curran via unanimous decision. Hatsu Hioki defeated George Roop via split decision. Donald Cerrone defeated Dennis Siver via rear naked choke submission. Bart Palaszewski defeated Tyson Griffin via first-round KO. Brandon Vera defeated Eliot Marshall via unanimous decision. Ramsey Nijem defeated Danny Downes via unanimous decision. Francis Carmont defeated Chris Camozzi via unanimous decision. Clifford Starks defeated Dustin Jacoby via unanimous decision. Alberto Crane and his National Fight Alliance put on "Valley Invasion", an MMA event with some of the Los Angeles area's pro MMA fighters. The Valley Invasion MMA event made history by being the first MMA event in the city of Burbank. Here is a quick recap and results of the nights fight action. Round 1: Tsaturyan dominated the round with accurate striking that floored Morales a few time early in the round. Morales choose to attempt to pull guard several times after taking the hard shots from Tsaturyan early. Morales could not bait Tsaturyan to fight on the ground. Round 2: Tsaturyan continued striking accurately while Morales continued with his strategy of trying to get the fight to the ground by pulling guard and baiting Tsaturyan. Tsaturyan was content with continuing to dominate standing. Round 3: Morales was able to get his way getting the fight to the ground and attempting leg locks. He had two attempts that were close, but Tsaturyan's defense was too good. Tsaturayn continued to dominate standing but late in the round Tsaturyan slipped and Morales was able to briefly take the back until Tsaturyan reversed out of it and ended up in Morales guard. Results: Haik Tsaturyan wins via unanimous decision. Warm up for UFC 137 BJ Penn vs Nick Diaz with some live pro MMA action in the Los Angeles area. Alberto Crane's National Fight Alliance is putting on "Valley Invasion" in Burbank, California today at 3 p.m.
Valley Invasion is going to make history as it will be the first professional MMA event in the city of Burbank. This MMA event will be taking place at the Burbank Marriott Convention Center located at 2500 North Hollywood Way Burbank, CA 91505. This MMA event will kick off at 3 p.m and should be done in time for you to catch UFC 137. For tickets and more info on Alberto Crane's National Fight Alliance event "Valley Invasion" visit www.NFAMMA.com. If you're in the Los Angeles area, don't miss an opportunity to catch some live professional MMA action. Pro MMA events don't come to the Los Angeles area often so make sure to take advantage. On this night, 20 of the best up and coming CAMO MMA sanctioned fighters in the Los Angeles area stepped into the Combat Fight League (CFL) cage at the Marriott in Woodland Hills to exchange chingasos. The CFL and Fight Fest 2 offered more than just MMA on this night. They also featured eye candy from Spearmint Rhino, vendors like FIGHT ME Clothing with their models/ring girls and music from DJ Logic to entertain MMA fans. Here's a quick recap and results of the nights MMA fight action. Round 1: After a feeling out process Perez aggressively goes in and ties up Firestone. Perez attempts a throw but fails and allows Firestone to land on top. Perez quickly reverses and then begins some ground and pound but the ref restarts the fight standing after some punches land on the back of Firestone's head. After a Firestone kick, Perez again is able to get a takedown and the fight continues on the ground with Perez getting the better of it. Round 2: Perez starts off with some good boxing that forces Firestone into a takedown attempt. Perez locks up a guillotine but Firestone does not give in and continues with the takedown attempt. Perez is able to use the momentum of the attempt to fall back and roll on top and into mount. He continues to look for the guillotine from the top position but then lets it to go and locks up Firestone's arm in an armbar attempt. Firestone fights it off for a while but the lock is too strong and eventually succumbs to the armbar submission. Results: Michael Perez wins via armbar submission. Want to catch some live MMA (Mixed Martial Arts) tonight? 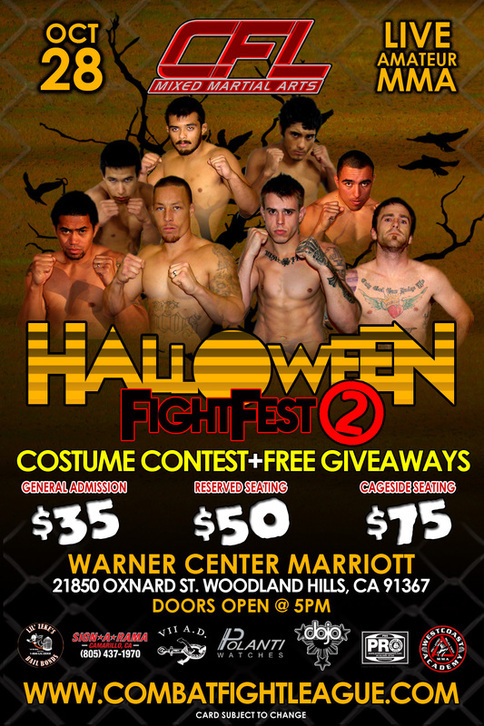 If you're in the Los Angeles area, Combat Fight League is putting on Halloween Fight Fest 2. Combat Fight League (CFL) puts on some of the best MMA events in the Los Angeles area, and you get a chance to check out one of their events tonight. Combat Fight League's Halloween Fight Fest 2 is going down at the Warner Center Marriot located at 21850 Oxnard St. Woodland Hills, CA 91367. The doors open at 5 p.m. General admission is $35, reserved seating is $50 and cage side seating is $75. For more info go to www.CombatFightLeague.com. 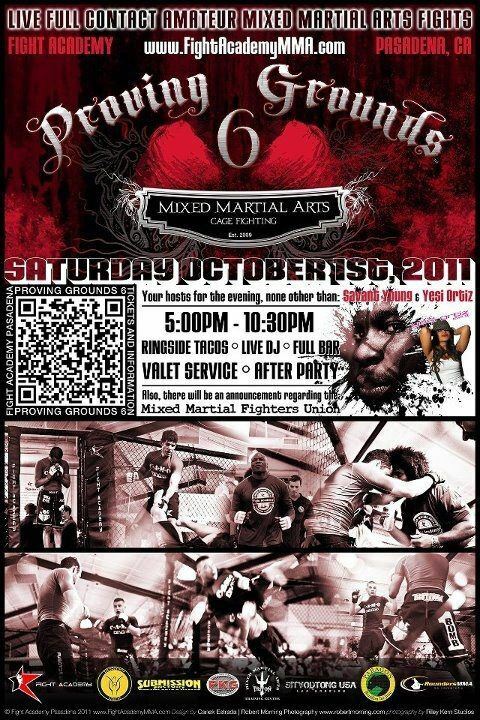 Chingasos MMA will be there taking photos and doing a results and recap article. 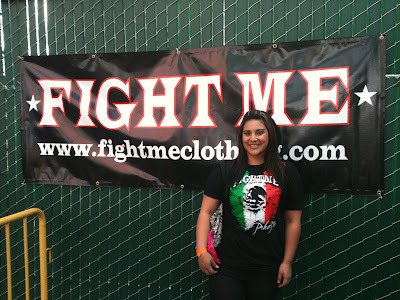 Also look for Chingasos MMA sponsor FIGHT ME and check out some of their awesome T-shirt designs. Good luck to the CFL and the MMA fighters competing tonight at Halloween Fight Fest 2. Stay tuned for a results and recap article as well as photos from this event. MMA fans are disappointed that George St. Pierre (GSP) was injured and couldn't defend his title at UFC 137. I'm sure Carlos Condit is also extremely disappointed he couldn't get his chance at GSP's title, but the show must go on and the main event at UFC 137 is now BJ Penn vs Nick Diaz. The UFC 137 fight card also features some very interesting fights. There's a few other fights on the UFC 137 fight card that will be interesting for MMA fans. 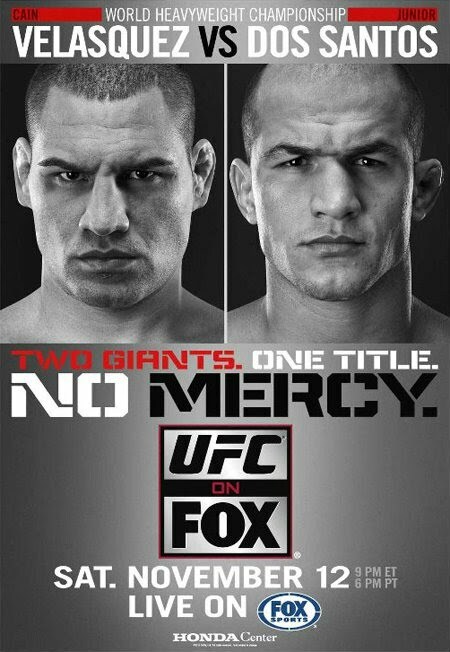 Cheick Kongo is coming off and exciting come from behind KO win versus hard hitting Pat Barry. Kongo will be facing a gritty fighter in Matt Mitrione that has done nothing but win in the UFC, he's undefeated. Kongo has had trouble with the grappling side of MMA but can throw KO chingasos with the best. 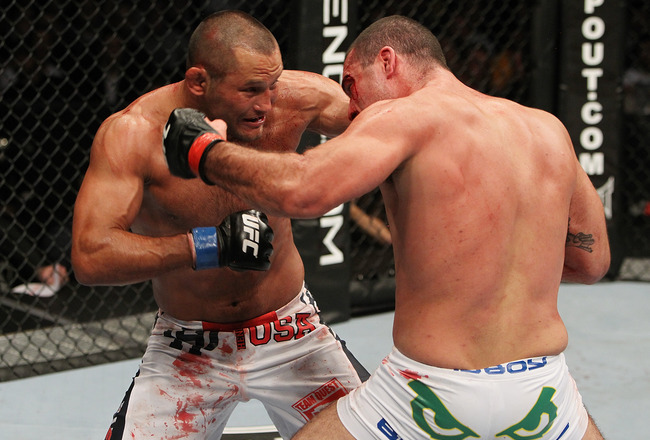 Look for Mitrione to clinch and use dirty boxing to stay away from Kongo's power. Keeping the UFC 137 fight card interesting will be Mirco Cro Cop vs. Roy Nelson. Cro Cop is making his return to the cage after two straight KO losses. He'll be facing Roy Nelson who is coming off two straight decision losses. This is going to be a wounded animal type fight with both of them fighting for the future of their UFC career. The prelims at UFC 137 will also feature a couple of very interesting fights. Brandon "The Truth" Vera has fought in a UFC main event, now he's on the prelims. Vera needs a big win bad! The truth is that he's fought top competition in the UFC, but doesn't have a win against a top level UFC fighter. Vera will be facing Eliot Marshall, who's record is a bit shaky in the UFC as well. Marshal is looking to make his stand and stay in the top show in MMA. Look for these fighters to fight with a sense of urgency so as to solidify their place in the UFC. Kicking off the prelims at UFC 137 is Dustin Jacoby vs. Clifford Starks. This is a bit of a surprise move as both fighters are up and coming undefeated fighters. The UFC seems to be sending out a message that they don't feed fighters fights. Look for the winner of this fight to make a big jump into a main card at a UFC event soon. Los Angeles MMA (Mixed Martial Arts) fans are in for a treat this month as live pro MMA action returns to the Los Angeles area. 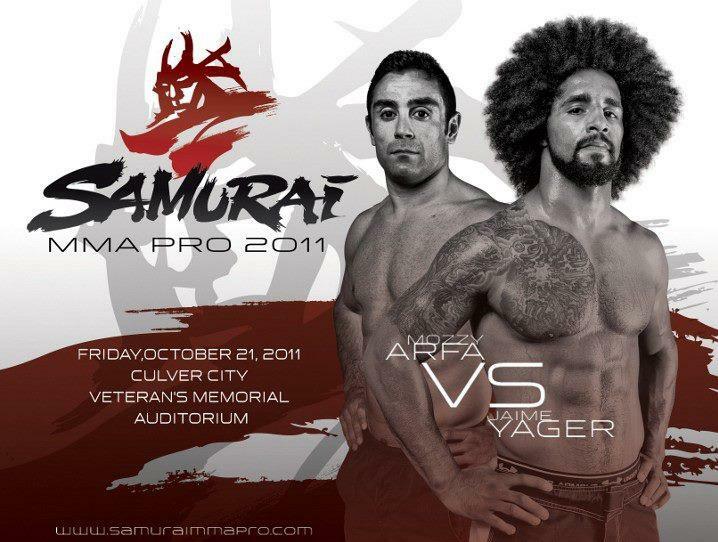 The Samurai MMA Pro event is going down in Culver City Friday October 21st. Samurai MMA Pro will be headlined by former TUF (The Ultimate Fighter) show contestant Jamie Yager. Jamie Yager will be the main event and will be facing one of the Los Angeles area's best pro MMA fighters Mozzy Arfa. Arfa is 3-1 as a pro and has finished his last two fights in the first round! He defeated David Mancha at Respect in the Cage via rear naked choke submission and Selah Williams at Battle in the Bullring via TKO. Yager will be Arfa's biggest challenge yet, and it will be fun to see if he's up for the challenge. Since Jamie Yager's loss in the UFC, he's come back with two straight wins. At TWC-10 Beat down(The Warriors Cage) he demolished Marcus Gaines in the first round finishing him off with a rear naked choke submission. Most recently at MMA Fight Pit Genesis, he finished off a tough opponent in Willie Parks with a guillotine choke a few seconds into the second round. The Samurai MMA Pro event will be held at the Culver City Veteran's Memorial Center. The venue will cater to a crowd of 1,500 spectators and is hosted by the Kings MMA Team. This will be the Samurai MMA Pro inaugural Mixed Martial Arts (MMA) event, so look for and awesome show and get your tickets early! Doors open at 5:00 p.m., fights will start at 7:00 p.m.
For tickets and or more info on Samurai MMA Pro, check out http://www.samuraimmapro.com/ or call 310-439-1330. Make sure you don't miss out and support MMA in Los Angeles. Brazilian Jiu Jitsu, also referred to as submission grappling is a beautiful thing to see in action to finish a fight. Brazilian Jiu Jitsu (BJJ) is even more beautiful when you get to see it used to finish a fight in the highest levels of MMA and UFC competition. Just to make things clear, Brazilian Jiu Jitsu (BJJ) would probably be more accurately described as being under the umbrella of submission grappling, since there are other grappling arts, such as Sambo, Judo, catch wrestling etc. 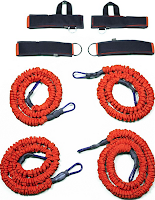 that are used in submission grappling, MMA and UFC fighting. With that being said, check out this free MMA video titled Brazilian Jiu Jitsu in MMA, by Youtube user dancing4money. He did an awesome job in this free video of putting together some of the best moments of BJJ and submission grappling used to finish fights in the UFC and some other MMA events. Stay tuned for updates on Los Angeles MMA events. 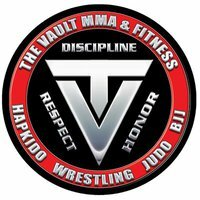 There are some good MMA events coming up in the Los Angeles area and if you want to catch some live MMA action and possibly witness some of these great BJJ and submission grappling techniques you don't want to miss them. UFC 136 Edgar vs. Maynard III made MMA (Mixed Martial Arts)fans extremely happy with an exciting main event that lived up to the hype. Frankie Edgar vs Gray Maynard III was a great fight. 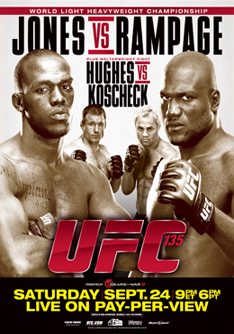 Here is a recap and results for UFC 136 (Main Card). The pre-lim results are on the Chingasos MMA Twitter. Guillard comes out with power full punches, but Lauzon stands in there and lands a short crisp left hook. Guillard quickly goes down. Lauzon jumps on him quickly, takes his back and slaps on the rear naked choke. Results: Lauzon wins via rear naked choke submission 47 seconds into the fight. These two waste no time in getting the action going. They start trading stand up shots a few seconds into the fight. About mid round Phan lands a straight punch that floors Garcia. Phan follows him to the ground but gets stuck in half guard. The fight is stood back up where they get back into trading chingasos. Garcia begins to get wild and Phan capitalizes with sharper striking. Phan is able to floor Garcia again towards the end of the round. In round two Phan begins to dominate the fight by taking advantage of Garcia's wild punches. Phan continuously counters Garcia's wild strikes with crisp, straight and more accurate punches. At the end of the round Garcia's face looks a mess from Phan's punishment. Garcia starts round three with aggressive leg kicks. 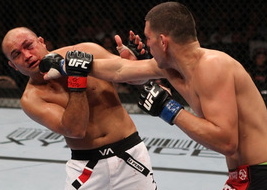 Phan takes them but then Garcia turns the fight around by landing a wild hook on Phan's chin. Garcia then goes in for a finish, while he lands some, he misses most of his fight ending punch attempts. Phan recovers and then begins to turn the fight back in his favor with his more controlled striking. Phan is able to score a takedown with a little less than two minutes left. After little action on the ground, the fight is stood up and they get back to trading chingasos! Results: In a fight of the night candidate, Phan wins via unanimous decision. This fight starts quickly by the fighters rushing and they begin a clinch battle. After battling for position against the cage for a while, Sonnes is able to score a takedown and begins to work from side control. Eventually Sonnen takes the back and works to finish the fight from there. Stann defends well and is able to make his way to half guard and then full guard towards the end of the round. Sonnes is able to land a bit of ground and pound from that position as the round comes to a close. Stann opens up round two by throwing a kick. Sonnen counters by taking him down and moving into side control. Sonnen works his ground game and mixes in ground and pound most of the round until a bad stand up by the ref. Sonnen doesn't complain and gets back to work taking Stann right back down. Sonnen takes side control and then works for an arm triangle. Stann defends but eventually succumbs to the submission. Results: Sonnen wins via arm triangle submission. Florian gets the fight going with solid leg kicks. Aldo is able to land a solid punch that cuts Florian. A couple of minutes into the round Florian attempts a takedown but Aldo scrambles out and then they get into a clinch battle agains the cage. Florian is able to score another takedown but can't keep Aldo down long. Aldo breaks away, but Florian gets the fight back up against the cage and the round ends there. In round two they start off by testing each others stand up but neither can land a significant blow. The round continues on looking like a sparring match with sparatic hard leg kicks landing. The action begins to kick up a bit at the start of round three. Aldo begins to land more shots. Florian goes for a takedown but fails and Aldo ends up in mount. Florian works out of it and defends from half guard. Aldo can't capitalize and Florian eventually makes his way back up towards the end of the round. Florian tries to kick up his aggression to start off round four but Aldo stifles the attempt. Florian attempts a takedown but Aldo fights it off and they end up in a clinch battle against the cage. Aldo breaks away but Florian is able to regain the clinch and they battle against the cage again. Florian fights for a takedown but to no avail. Aldo is again able to break away towards the end of the round and lands a couple of strikes. In round five, after briefly trading, Florian goes in for the clinch and pushes up Aldo agains the cage. When Aldo breaks away he catches Florian off balance and pushes him to the floor. Florian defends with up kicks but Aldo eventually times them and takes mount. Florian fights to get out of the position and with under two minutes left makes it back to his feet. The clinch up against the fence and break away with a few seconds left in the fight. Results: In somewhat of a boring fight, Aldo wins via unanimous decision. After a long feeling out process Edgar goes for a takedown but Maynard is able to fight it off. They get back to standing in front of each other and Maynard lands a powerful uppercut that shakes up Edgar. Edgar tries to recover but Maynard is able to land more blows that almost end the fight. Somehow Edgar survives as Maynard continues to go in for the kill. The round could easily be scored 10-8 for Maynard. Edgar looks fully recovered from the first round at the beginning of round two. Edgar presses the action as Maynard seems to wait for another chance to land a power shot. Edgar is able to pepper Maynard with punches and kicks most of the round. Maynard can't seem to find the distance in this round as Edgar finished the round sticking and moving. Round three was more sticking and moving from Edgar while Maynard waited for a power shot. Edgar's foot work and speed began to dictate the fight. Round four is more of the same from Edgar. Maynard finally goes in for a takedown but Edgar fights it off easily and gets back to peppering Maynard with chingasos from all angles. Late in the round Edgar shoots in for a takedown and as Maynard fights it off Edgar lands a power uppercut that lands clean on Maynard's chin. Maynard is dazed and Edgar goes in for the kill with devastating punches. Results: Edgar wins via TKO. If you read my pre UFC 136 fight card and picks article, there weren't many surprises in the results on this card. The only surprise was the result of the Guillard vs. Lauzon fight. Nevertheless, it was and exciting night of fights and all of us MMA fans patiently wait for UFC 137. When it comes to MMA clothing and apparel, there are plenty of companies out there, but there are very few with a bold statement and awesome designs. FIGHT ME is one of those companies. The FIGHT ME statement is more than just being bold, the statement stands for something. The brand is about overcoming opposition whether standing toe to toe in an MMA ring/cage or fighting for life against such things as cancer, autism, mental and physical challenges. The FIGHT ME mission is to show every living person in this world that they can overcome any obstacle in their life if they believe in themselves. 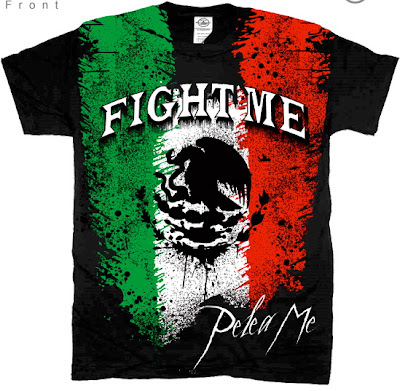 FIGHT ME is growing quickly and Chingasos MMA recognized their efforts in promoting the sport of MMA as well as fighters and gyms. We met with owner Steven Romero, and have partnered with him to spread the brand and the word about FIGHT ME. Purchase this T-shirt, and carry on with the FIGHT ME statement! Choose your size and click Buy Now. FREE shipping for Chingasos MMA visitors! UFC and MMA (Mixed Martial Arts) fans are in for some good action this Saturday. 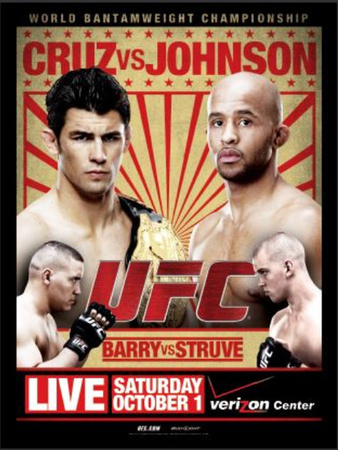 The UFC 136 fight card is being headlined by two title fights and fighters that have proven to bring the action! Here's a quick preview and picks for UFC 136. 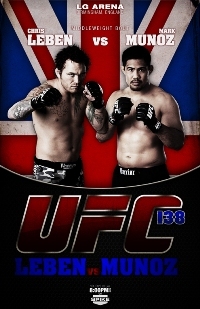 The main event at UFC 136 event features the third title fight between lightweights Frankie Edgar and Gray Maynard. Gray Maynard won their first match up to become the lightweight champ. The rematch was action packed but ended in a draw. Look for Edgar to use his speed to outpoint Maynard and win a close decision. The co-main event matches up two featherweight fighters in Jose Aldo and Kenny Florian. Florian has always fought outside of his natural weight class and even so, has done well agains top competition. Now that the UFC has a featherweight division, he can show off his full potential as he goes after the title. Unfortunately for Florian, he's going to have to face an MMA recking machine and UFC featherweight champion Jose Aldo. Aldo has finished 7 out of his last 9 fights with a KO or TKO. He brings a record of 19-1 into this fight with his only loss coming way back in 2005. Look for Aldo to overwhelm Florian with this athletic ability and finish the fight in the later rounds. On the UFC 136 fight card is one of the best trash talkers in MMA ,Chael Sonnen. He faces Brian Stann who is on a three fight winning streak. Stann is taking a step up in competition by fighting Sonnen. Look for Sonnen to use his experience, and exceptional wrestling to win via decision. One of the most powerful fighters in the UFC lightweight division Melvin Guillard will be facing a slick submission specialist in Joe Lauzon. Lauzon will have trouble with Guillard's power. Look for Guillard to land some hard punches and finish the fight with at KO or TKO. Kicking off the UFC 136 main card is Nam Phan vs Leonard Garcia. It should be an interesting fight as both fighters have shaky fight records and need to win this one in a bad way if they want to stay in the UFC. Garcia is a brawler that brings the fight. Look for Garcia to overwhelm Phan with aggression to pull off the win. UFC 136 takes place Saturday October 8th at the Toyota Center in Houston Texas. Do you agree with my UFC 136 fight picks? UFC fighter Dominick Cruz defended his bantamweight title versus Demetrious Johnson Saturday night at UFC Live 6 (UFC Live on Versus 6) and is looking unbeatable. If Johnson was supposed to be the biggest MMA (Mixed Martial Arts) test for Cruz, then he passed with flying colors. The MMA fighting action was fast and furious from the beginning to the end of this fight, but for the most part Cruz seemed to stifle Mighty Mouse Johnson with takedowns, an unorthodox fighting stance and footwork. Johnson had some moments but nothing that was strong enough to stop the momentum that Cruz built. Cruz was able to complete takedowns against Johnson, which is no easy task and shows off his wrestling skill. Johnson is short, stocky, fast and skilled, and if you've ever trained in MMA or any form of grappling, you know how hard it is to takedown and control someone like that. Most of the fight went back and forth with the stand up with neither fighter able to impose their will on the other. This might be where someone can have a chance at beating Cruz, but then again, he is so elusive with his funky foot work that it seems hard to catch him with any type of solid fight ending chingasos. Mighty Mouse Johnson tried and failed. It was a convincing win for Cruz and it will be interesting to see who the UFC throws at him next. The bantamweight division is still new in the UFC and I'm sure they're looking at how the fans like these type of fast paced MMA fights that seem to be hard to end and leave the judges to choose the winner. Proving Grounds 6, tonight Saturday October 1 proved to be another good night of fights at the Fight Academy in Pasadena. MMA fans from all over the Los Angeles area packed the Fight Academy Gym to witness the Chingasos! Here's is a quick recap and results of the night's MMA fight action. Pinzon starts the fight showcasing nice punch kick combos. Harris clinches in an effort to slow Pinzon down. The rest of the round is more of Pinzon and his nice combos while Harris attempts a clinch fight. In Round two it's more of Pinzon's nice combos but about mid round Harris shoots for a double leg takedown and scores it. Pinzon works a bit of rubber guard but Harris is able to stay out of trouble and lands periodic ground and pound. In round three Pinzon catches Harris with some punches early but then Harris is able to clinch and gets the fight to the mat with a head and arm judo type takedown. Harris works from inside of Pinzon's guard but doesn't find an opening. The ref stand the fight back up an Pinzon quickly fires off more punches but none of them seem to get by Harris's defense. Late in the round Harris shoots for a double and scores it. Results: Jose Pinzon wins via split decision. Tonight on Versus, the UFC throws up a Bantamweight championship fight. UFC Bantamweight Champion Dominick Cruz will defend his title against Demetrious Johnson in UFC Live 6 (UFC Live on Versus 6). The Bantamweight division (135 lbs) is new to the UFC and I'm sure they're hoping for more than just a 5 round decision. If Cruz and Johnson put it all out on the line in this fight, I see it going about 4 rounds with an exciting finish. Dominick Cruz is riding a nine fight winning streak and is 18-1 overall. His only loss was to Urijah Faber but he avenged that loss in his last fight at UFC 132. While he is riding that nine fight winning streak, 7 of those wins come via decision, so finishing Johnson might not be an easy task. Demetrious Johnson is riding a four fight winning streak and has an overall record of 9-1. Three of his last for fights have gone to a three round decision. This is the first time he will have 5 rounds to work with since it's a title fight, so it will be interesting to see how he fares. Will he have the gas tank to defeat the champ and become the new UFC Bantamweight champion? We will soon find out. What is clear about these two fighters is that they're fast paced and action packed. Thet first fighter to gas and make a mistake will probably be the loser. I hope that they push the pace and force the weakest to gas as it will leave an opening and make for an exciting finish before the fight goes to the judges. 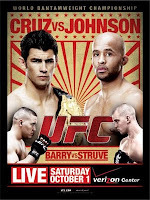 Check out the UFC Live 6 Cruz vs Johnson preview video. MMA returned to the Los Angeles area with the Quake in the Cage 8 event at the South El Monte Community Center on Sunday September 25. Quake in the Cage MMA events are put on by The Vault MMA and Fitness Center and Old School Promotions. 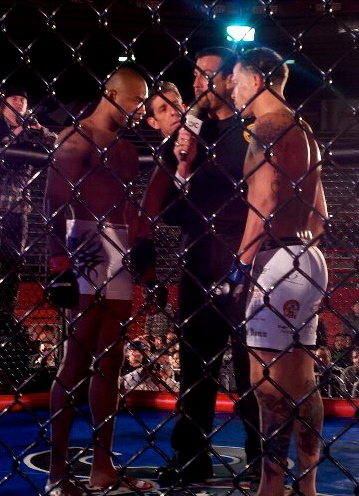 Quake in the Cage 8 was stacked with eight CAMO sanctioned MMA fights on the card. 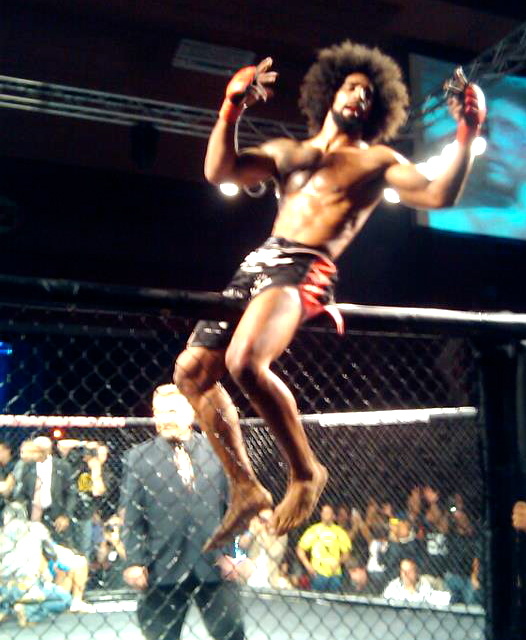 Here's a quick recap and results from the night's MMA event. I like watching Quinton "Rampage" Jackson fight, I also like to watch and listen to his pre fight and post fight comments. He's hilarious, and I think MMA (Mixed Martial Arts) is lucky to have him involved in the sport. 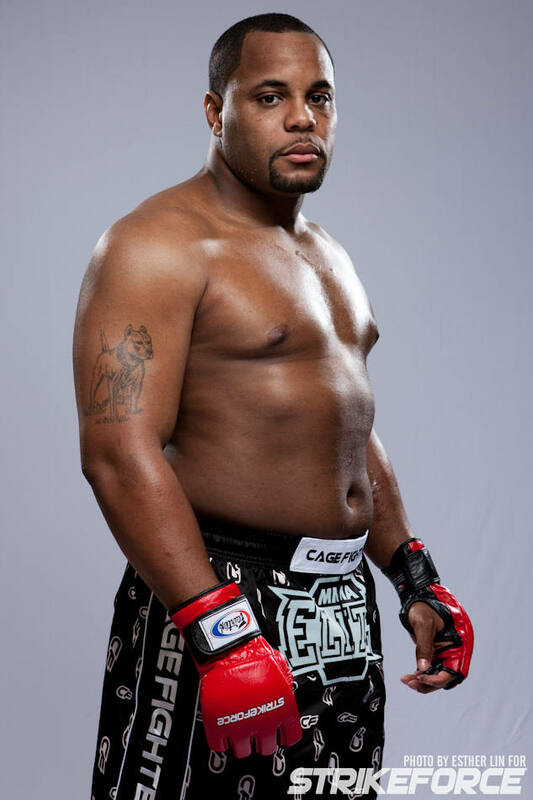 Unfortunately for Rampage, he runs into Jon "Bones" Jones on Saturday at UFC 135. Jon "Bones" Jones has done nothing but pick apart and dominate MMA fighters in and out of the UFC. Jones only loss was a disqualification due to a downward elbow versus Matt Hamill. And let's face it, he would have one that fight easily with or without that elbow. Hamill actually evaded a bigger beat down because the fight was stopped. Since that DQ loss, Jones has stepped up his game and proved he's the most well rounded fighter in the UFC by defeating a solid striker in Brandon Vera, two fighters with outstanding wrestling in Vladimir Matyushenko and Ryan Bader. And in his last fight, to win the UFC Light Heavyweight title, he destroyed Mauricio "Shogun" Rua. Rampage gets a shot at Jones light heavyweight title this Saturday, but a chance is all he has. Jones will most likely dominate Rampage just like he's dominated every other fighter they have put in front of him. 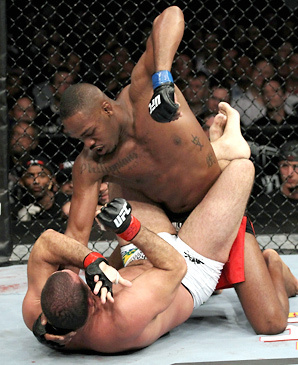 A dominating win at UFC 135 will just be another day at the office for Jon Jones. Rampage does have a punchers chance. Jones has been so good in his fights that his chin actually hasn't been tested. With small MMA gloves and solid power, if Rampage can somehow land some solid chingasos to Jones cranium, then he might expose a possible hole in Jones game. I don't think that will happen, Jones isn't only athletic and skilled, he goes into the UFC cage with excellent game plans and sticks to them with militaristic precision. Rampage is in for a tough night and is facing one more in the loss column, but I'm looking forward to his funny post fight comments. Jake Ellenberger continued his winning streak not only in MMA (Mixed Martial Arts) but in the UFC, the highest level of MMA. With the first round knock out win versus Jake Shields at UFC Fight Night 25, he now propels his UFC winning streak to five in a row. He's an experienced fighter with an overall record of 26-5 and he solidifies his position as a title contender and threat to George St. Pierre. Unfortunately for Jake Ellenberger, the Welterweight division (170 lbs) in the UFC is stacked with talent, so a title shot might not be in the near future. Ellenberger will probably be matched up with a gatekeeper at Welterweight before he earns a true title shot. I'd like to see him fight a strong striker like Thiago Alves to prove he can stand and bang with the best strikers at Welterweight. If he can exchange chingasos and beat a strong striker like Alves, then he would prove he's well rounded enough to be a threat to the champ GSP and earn a title shot. With so much talent in the UFC, and with so many things that can happen in a sport like MMA, Jake Ellenberger is on the right track to a title shot, but the stars still have to align properly for him in order for that to happen. If everything goes right for Ellenberger, look for a title shot within the next year to year and a half. There's a time to fight, and there's a time to relax and have a beer. Tomorrow night, as an honor to the sport of MMA (Mixed Martial Arts), MMA gyms, schools, fighters and trainers, we have decided to host an MMA Los Angeles Promo Party. Feel free to bring promotional material to your MMA event, gym, or clothing line. 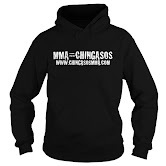 Show off your MMA product to the Los Angeles MMA fan base. We will have a photographer present and photos will go up as soon as we recover from a good night. Part of our decision to do this MMA promo party was to show the community that MMA is an honorable sport with honorable people involved in it. It's time to squash the misconception that fighters and people involved with MMA are street fighting meat heads. Come out and help us continue to promote the sport of MMA, gyms, fighters and trainers in a positive light. If you checked out the Strikeforce Heavyweight Grand Prix Tournament last Saturday, you witness a rising star in MMA (Mixed Martial Arts). Daniel Cormier demolished Antonio "Big Foot" Silva in the first round. But who is Daniel Cormier? Was this MMA win just a fluke or is Daniel Cormier for real? Daniel Cormier started his professional MMA career by fighting in the Strikeforce MMA event Challengers 3 back in September of 2009. He won that fight via TKO due to punches in the second round and has done nothing but win since. He's now 9-0 and is looking more and more impressive. Cormier has a strong wrestling background. He has earned a gold medal in the Pan American Championships in both 2002 and 2003. But he's not just a wrestler in MMA, just like training partner and UFC champion Cain Velasquez, he's added strong boxing skills to the mix. This allows Cormier to dictate the fight. If he wants to use his explosive punching standing, then that's what he does because no one can take him down. If he wants to put someone on their back and ground and pound, then that's what he does due to his strong wrestling background. Cormier is looking like a Cain Velasquez clone. Unfortunately for Cormier, he broke his hand in the win against "Big Foot" Silva. That will be the only thing stopping him from dominating Strikeforce and then making his mark in the UFC. A title match in the UFC would be unlikely though because of the man that currently holds the title, Cain Velasquez, a training partner. 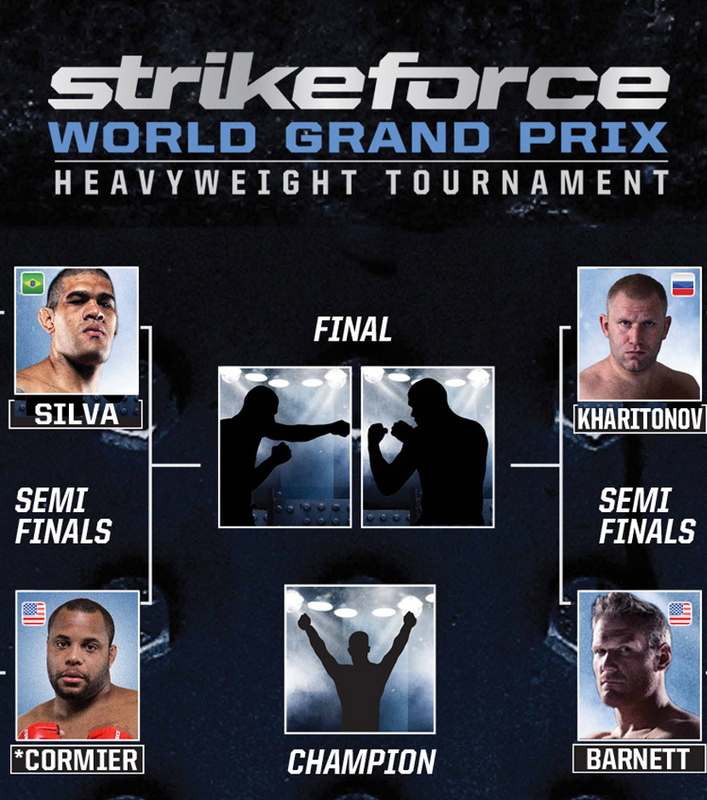 The Strikeforce Heavyweight Grand Prix Tournament continues tonight, September 10. The four fighters left should make things exciting for MMA (Mixed Martial Arts)fans. Josh Barnett, Sergei Kharitonov, Big Foot Silva and Daniel Cormier are the last MMA fighters standing in the tournament. 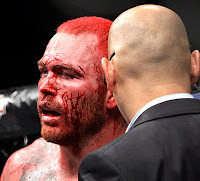 Winning the Strikeforce Heavyweight Grand Prix catapults that fighter into the limelight and into UFC title contention. Barnett vs Kharitonov pits two PRIDE veterans in one of the semi-finals. Barnett is making a strong push to renew his MMA career. He's coming off a solid win where he defeated Brett Rogers via arm triangle submission. Look for him to use his wrestling and submissions to pull of a win. Kharitonov knocked out Andrei Arlovski in his last fight. He's a skillful striker and will look to keep the fight standing. He'll have to watch out for Barnett's improved striking abilities while delivering his own chingasos to pull off a win. 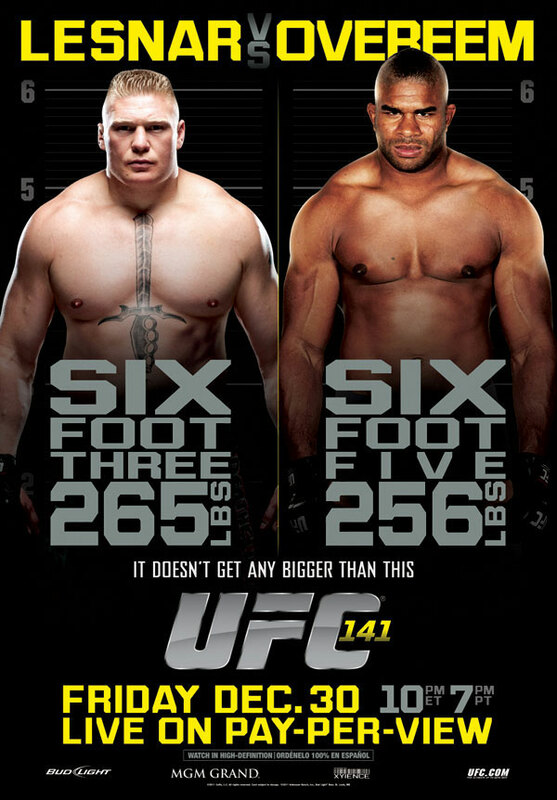 In the other semi-final of the Strikeforce Heavyweight Grand Prix you have Antonio "Big Foot" Silva vs. Daniel Cormier. Silva demolished Fedor Emelianenko, the once considered pound for pound best MMA fighter in the world, in his last fight. Silva is a huge MMA fighter, but he is also extremely skilled. Look for Silva to do some damage from the ground to pull out a win. Daniel Cormier is coming off a solid win in defeating Jeff Monson via unanimous decision. Cormier is going to have to step up his game against a much bigger fighter in Silva. Cormier is a strong wrestler, but he has vastly improved boxing and it will be interesting to see what strategy he employs against Silva. 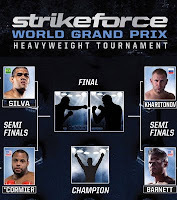 The Strikeforce Heavyweight Grand Prix will be shown on Showtime at 10:35 ET/PT. Who Can Beat Anderson Silva? Anderson Silva is undefeated in the UFC. Not all of his fights have been as exciting as MMA fans, the UFC and Dana White might have liked, but he's undefeated nonetheless. 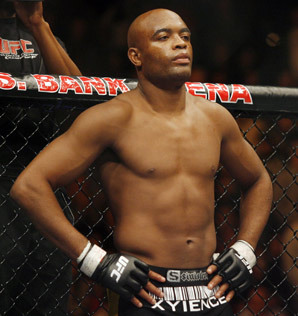 With his demolishing of Yushin Okami at UFC Rio (UFC 134), the question "Who can beat Anderson Silva?" is boggling MMA experts. Who can beat Anderson Silva? I've been thinking about this myself an I've looked at some of Silva's fights in order to come up with a good answer. In studying some of Silva's fights, I've come up with the strategy that a fighter would need to employ in a winning effort. First of all, let's look at what a fighter shouldn't do against Silva. He should most definitely not try to stand and trade chingasos. That's a sure way to a quick loss. Just ask Vitor Belfort (UFC 126). Silva is the premiere striker in MMA right now. His strikes are accurate and powerful. That's a bad combination for willing opponents. So standing with Silva is out of the question. The problem then lies in getting the fight to the ground. At UFC Rio (UFC 134) Yushin Okami did a good job in the first round of closing the distance and making it a stand up grappling match. Unfortunately for Okami, in the second round, he seemed to have abandoned that strategy and stayed in Silva's striking range. If you saw the fight, you know it went down hill for Okami from there. At UFC 112, Anderson Silva made it very clear he did not want to grapple and or go to the ground with a submission and BJJ (Brazilian Jiu Jitsu) specialist. Demian Maia made the correct decision in not engaging in a stand up striking battle. Unfortunately for Maia and MMA fans, he couldn't get the fight to the ground, Silva would not be bated into a grappling match and it produced a five round snoozer. The fight with Demian Maia did set somewhat of a blue print for a possible win against Silva. Basically, getting the fight to the ground would be a main ingredient. At UFC 117, Chael Sonnen employed that strategy to perfection. He took the fight into the fifth round by outwrestling Silva. Sonnen was winning the fight at that point. Unfortunately for Sonnen, he made a mistake in the fifth round. After taking Silva down again, he made a mistake with his ground and pound attack, Silva took advantage and slapped on a triangle/armbar from the guard that ended Sonnens hopes for beating Silva. 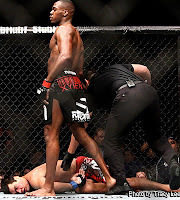 When looking back at these fights, the strategy to beat Silva becomes evident. A fighter needs to be a strong wrestler to be able to get the fight out of Silva's strength. A fighter with wrestling abilities like Chael Sonnen. But this fighter needs an excellent ground game or at least a stronger submission defense than Sonnen. Once the fight gets to the ground this, fighter needs to have a ground game like Damian Maia, or a stronger ground and pound than Sonnen so he can finish the fight on the ground. The only fighter on the horizon with the abilities to beat Anderson Silva in the Middleweight division is Mark Munoz. Mark Munoz has comparable wrestling abilities to Chael Sonnen. Munoz though, has more punching power. Munoz also has never been submitted. Munoz is on a a three fight winning streak and I see him posing a strong threat to Anderson Silva. UFC, make this fight happen!